The above stencils designs are on clearance. Link to sale. Are you looking for a grant that fund physical activity and nutrition programs? We have identified 10 grants that do just that. Hurry. Deadlines approaching. 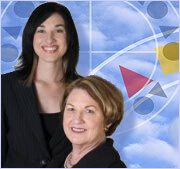 Also visit our website for free templates and a webinar on grant writing to assist you. Healthy Hometown grants have been used to develop programs for all ages and families including cooking classes, community garden development and distribution, physical activity sessions and building exercise into core educational and recreational programming. Multiple awards ranging from $2,500 to $3,000 will be available to select applicants. Nonprofit organizations operating in the Commonwealth of Kentucky are eligible to apply. The purpose of The Sarah Lee Foundation is to decrease food insecurity and increase access to fresh produce and meals. Significant funding consideration is given to programs that focus on food recovery, increased access to fresh produce and protein, meal programs when schools are not in session, and hunger awareness. Award amounts vary. Eligible organizations include 501(c)(3) nonprofits that are located in communities where Sara Lee operates. The Foundation for Youth Investment is accepting applications from youth-serving nonprofit organizations for programs that involve underserved youth in northern and central California in outdoor activities. Through its Impact Fund, the foundation will award grants for initiatives that improve access to high-quality outdoor experiences, enhance the cultural relevancy of the programming offered by the organization, or create an innovative approach to reaching low-income communities, communities of color, and those experiencing unique barriers to participation in outdoor activities. Grants of up to $50,000 are available for select organizations. Nonprofit organizations based in northern and central California are eligible to apply. MASBHC is seeking three Maryland SBHCs to participate in a new collaborative project called Hallways to Health. The project is led by the National Assembly on School-Based Health Care as part of a multi-state campaign with Kaiser Permanente known as Thriving Schools, which focuses on helping students, families, and school staff make healthy choices. Three SBHCs will be chosen as partners and will be granted $45,000 per year for two years. SBHC sponsoring organizations, including school districts, community health centers/FQHCs, hospitals and community-based organizations in the state of Maryland are eligible to apply. Please contact the Maryland Assembly on School Based Health Care for more information and to apply for this funding. The WellPoint Foundation invests in domestic initiatives that help improve the lives of people and the health of local communities. 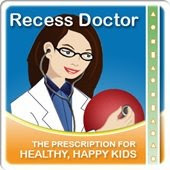 The Foundation promotes healthy behaviors, health-risk prevention, and healthy environments. Focus areas include childhood obesity prevention. The Foundation considers both local and national initiatives whose outcomes predominantly impact any of the 14 states in which WellPoint, Inc. does business. Award amounts vary. Nonprofit organizations are eligible to apply. 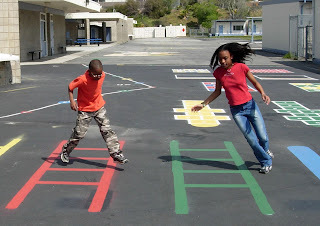 The Active Schools Acceleration Project aims to replicate fun, flexible, and creative school-based physical activity programs in elementary schools across the United States. Participating schools will receive funding to kick start one of three programs and will also be assigned a ‘game plan’ for their chosen program and a nationwide support network of other champions embarking on the same path. One thousand grants of $1,000 each are available to select applicants. Elementary schools in the United States are eligible to apply. The purpose of this funding is to support efforts to conduct school-based surveillance on youth risk behaviors, school health policies and practices; implement school-based programs and practices designed to reduce HIV and STD infection among adolescents; and reduce disparities in HIV and STD infection among specific adolescent populations. Multiple awards ranging from $7,000-650,000 will be granted to select applicants. State education agencies are eligible to apply. This funding opportunity supports participation in the Presidential Youth Fitness Program for a period of two years—providing eligible schools with 100% of the elements that make up the three core pillars of the Presidential Youth Fitness Program for Year One and 50% matching support for Year Two. The core program elements include fitness assessment materials, professional development for physical educators, and awards and recognitions for students. Multiple awards of support for the program are available for select applicants. Public schools employing a certified physical education teacher on a full-time or part-time basis are eligible to apply. The Wellmark Foundation is a nonprofit foundation that focuses funding efforts on improving the health of Iowa and South Dakota communities through prevention. Specifically, funding seeks to facilitate programs targeting childhood obesity prevention and community-based wellness and prevention. Grants of up to $50,000 will be awarded to select applicants. Nonprofit organizations located in Iowa and South Dakota are eligible to apply. The California Endowment is accepting applications for the Innovative Ideas Challenge, a grant program designed to encourage development of compelling new ideas that address health issues in California. The endowment seeks ideas that address either emerging or persistent health-related issues affecting underserved California communities through approaches that can be classified as disruptive innovations - one that brings to market products and services that are more affordable and, ultimately, higher in quality. Award amounts vary. Nonprofit or private organizations and partnerships serving underserved individuals and communities in California are eligible to apply. 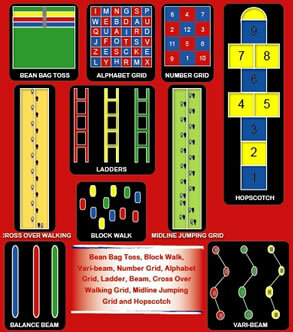 Peaceful Playgrounds Grants materials and templates. Stencil Clearance. 10 game markings on sale while they last.